A custom photo greeting card gives each message send by mail a personal touch. 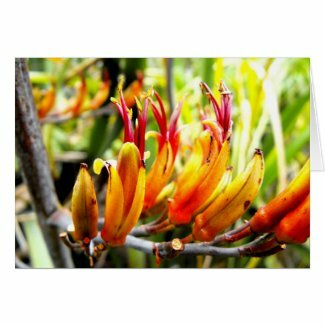 We have prepared some blank greeting cards with beautiful New Zealand photos including seascapes, landscapes and details of plants growing in the bush around West Auckland. 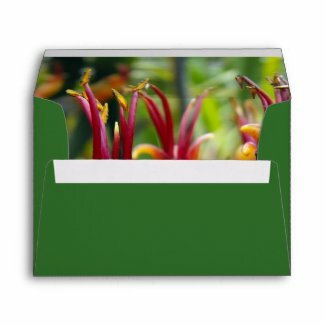 Paper greeting cards in the KiaOra NZ Store allow choosing a folded card with inner design or blank. Inner designs show faded or partially faded reflections of the outer photo. Support the specific purpose of the card by adding text to the cover photo. Customize the inside with greetings or a quote. Finally check that everything is in place and that the spelling is correct. When the result satisfies order one or as many as required. It is even possible to carry the design of the custom greeting card to the envelope and in the United States of America; the postage can go in line with the design of the card and envelope. Generally, each custom greeting card is usable in portrait or landscape orientation. Note cards have the dimensions 4" x 5.6" portrait layout, or respectively 5.6" x 4" landscape layout. The dimension of greeting cards 5" x 7" portrait layout, or respectively 7" x 5" landscape layout. Big events sometimes call for big greeting cards with portrait dimensions of 8.5" x 11" or landscape dimensions of 11" x 8.5" . The printing paper has an ultra-heavyweight of 120lb. The card finish is in gloss. Each custom photo card comes with a white envelope. The best it makes no difference to order just one or more. For those interested on wholesale greeting cards, follow the quantity drop down menu to see what savings per card are possible when ordering 10 greeting cards or more. Following this link brings you to the growing collection of New Zealand greeting cards in the KiaOra NZ Store.